When it comes to comfort, having a room that is the right temperature is critical. 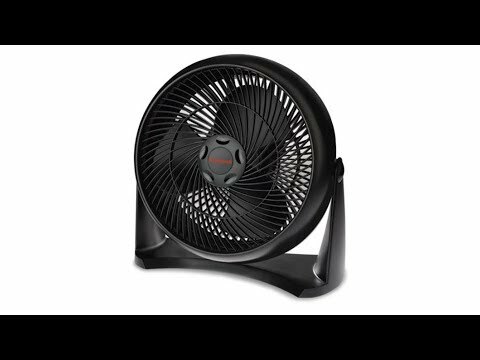 Honeywell has released two new 900-series circulating fans that are both sure to impress. Both have similar designs and appear nearly identical on the surface. Choosing the right one for your space is important – each model circulates air differently and the end result (a cooler space) is what the fan needs to deliver. When choosing between two similar products, make sure you know your space and then choose the fan that will best suit the area. This will give you the most satisfying results. Which model cools down a room faster? When it comes to two products in the same model series, it can sometimes be difficult choosing the best one. While it’s true that the ht-900 and ht-908 from Honeywell have strong similarities to each other, there are a few key differences that keep them apart. Choosing the best one may often come down to these two key differences – especially if you are looking for a fan to power a smaller area and want to save space. Having a fan that can mount to the wall, vs one that needs to sit somewhere, may be the determiner for most buyers. The good news is, if that isn’t a deal-breaker, there are lots of other things that these have in common, as well as additional differences. Honeywell HT-900 3 90 degrees 27" 25% quieter than similar models 11" 1 year limited Yes Check price! Honeywell HT-908 3 90 degrees 32" 30% quieter than similar models 15" 1 year limited No Check price! One of the more noted differences between these two models is the size. 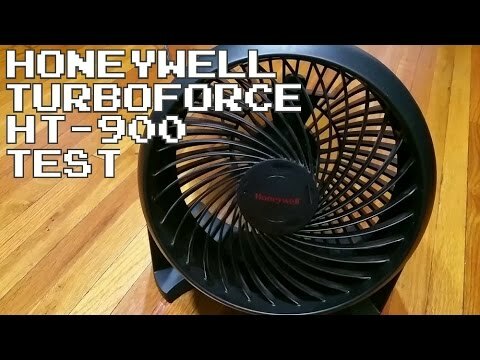 While they both weigh the same (2.6lbs), the Honeywell HT-900 model is smaller in diameter at only 11″ while the Honeywell HT-908 has a 15″ wide fan. This doesn’t inherently make one better than the other, but it should be taken into consideration when looking at the space where you plan on putting your fan. In a limited space, the HT-900 is the better one since it is 4″ smaller. However, if space is not an issue and you are looking to move air in a larger room or across a wider area, the HT-908 will be the better one based on size. Both HT-900 and HT-908 have the same three speed settings and are backed by the TurboForce design to allow for optimal airflow and power. The difference however, lies in how strong the fan actually blows on each of the three speed settings. For the HT-900, the longest distance that it guarantees is up to 27 feet away from the fan – even on the highest setting. 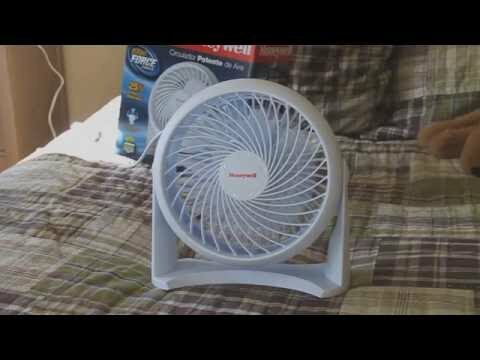 For the HT-908, the same three settings allow the fan to blow up to 32 feet away from the fan. Looking at airflow specifically, the HT-908 comes out on top. It is the more powerful fan and would lead to cooling down (or warming up) an area more quickly than its HT-900 counterpart. The smaller the room however, the better the HT-900 would be able to handle the job. The measurement of a fan’s success is more than just how well it blows air, it is also how quiet it can get the job done. In this case, both models operate more quietly than comparable models in their sizes. The HT-900, while smaller, is, on average, 25% quieter than its counterparts. The HT-908, despite is larger size, operations approximately 30% more quietly than its comparable counterparts. Measuring and calculating noise level in a home or office space can sometimes be arbitrary based on the people in the room. While it can be stated that the HT-900 is naturally quieter to start with, in this case, the HT-908 seems to be the quieter model of the two based on the percentage of noise reduction. At the end of the day though, both are at least 25% quieter than other fans of their size, so either way is a potential win for those looking for quieter fans. While this isn’t a feature of either fan directly, what customers say about a product they have purchased and used says a lot about the quality and performance of the product. While both models carry good ratings overall, the satisfaction with the HT-900 model was noticeably more positive than the HT-908. The HT-900 was said to perform as promised, or even better, while the HT-908 sometimes fell short of what was promised. The HT-900 also seemed to blow stronger, even though it was a smaller fan in diameter as compared to its larger counterpart. Overall, when taking customer comments into consideration, the HT-900 model is the more favored of the two. This isn’t to say that the HT-908 model doesn’t live up to the expectations. It had similarly high ratings, but was not as enthusiastically praised. The key difference between these two fan models is where they can be set up. Both are intended for indoor use and are not waterproof or weatherproof. The HT-900 model can be put on a flat surface and has the ability to be mounted to the wall. Unfortunately, the HT-908 model does not have a wall-mounting ability and can only be set on flat surfaces. In this, the HT-900 is the stronger fan model of the two by far. Its dual purpose more than doubles the spaces that it can be used and it makes it even more attractive for small spaces and offices because it does not need to take up floor or desk space. The only thing to note for the HT-900 is that if you do place it on a flat surface, the ‘legs’ do not have any sticky or soft padding to protect the surface from scratching. It is recommended that you purchase little felt ‘feet’ or place something between the fan and the surface – especially if it is wood or another type of material prone to scratching. When it comes to comparing two products that are similar, it can appear at first that there isn’t one with a distinct advantage. While this is sometimes the case, it isn’t this time with these Honeywell models; there is one that has just a slight edge over the other and that is the HT-900. While it has the less-powerful force, it makes up for that in the dual-placement ability, overall customer satisfaction, and the ability to work well in small places. The HT-900 works better for more people due to its small, yet powerful design as compared to its larger, more limited counterpart. Some of the most common questions potential buyers have before choosing the best Honeywell 900-series model are. Both the HT-900 and the HT-908 can handle room sizes up to 10×10. Because of the larger dimension and power, the HT-908 can go up to 12×12 before the air flow may be noticeably decreased. There are certain factors to take into consideration when looking at your room. If there are odd corners, or a non-standard room layout (e.g. an ‘L’ shaped room), neither fan may do as adequate a job. Additionally, smaller rooms may be more effectively cooled by a wall-mounted unit (the HT-900). It is safe to say that the HT-908 will operate fairly well in small and medium sized rooms and can take on larger rooms that don’t have many pieces of furniture (e.g. a basement). 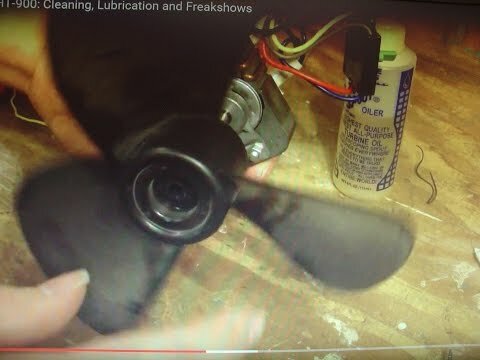 To take the fan apart, lay it facedown on a flat surface. If you are putting it on a hardwood surface or similarly-covered areas, it is recommended that you put a cloth down first in order to prevent the fan from scratching the area. Note: the screws are designed to stay inside of the plastic so you cannot lose them. Do not attempt to take the screw out entirely, simply unscrew until the two pieces are detached. Honeywell models in general are known for their dependability and longevity. If taken care of, both the HT-900 and the HT-908 can have a fairly long lifespan stretching into years. In the case of manufacture defect or other, non-owner-related damages, both models have a 1 year limited warranty. Hi! Thank you for your question. The circumference of the round part of the fan is 12 inches. Probably, you will need the height of this model, so from the very top of the fan to the base of it is 14 inches. Maul vs Warhammer: Which Weapon Comes Out On Top? Hi, I'm Alex Turner. I like to explore different home gadgets, that make the home more comfortable to living. So this blog is about it.Let's make your home cozy together! Some posts may contain affiliate links. Cozyhousetoday.com is a participant in the Amazon Services LLC Associates Program, an affiliate advertising program designed to provide a means for sites to earn advertising fees by advertising and linking to Amazon.com (amazon.co.uk, amazon.ca, amazon.fr etc. ).